Pelmorex Corp. has added yet another impressive Canadian tech talent to its team. Google Canada’s vice president and managing director Sam Sebastian joined the weather and media company at the end of July, and now Rory Capern, former managing director of Twitter Canada, has jumped into the fray. 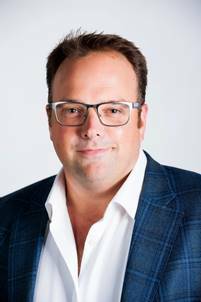 Capern announced his departure from Twitter Canada on Oct. 25 and will begin his new role as vice president of partnerships at Pelmorex on Nov. 7. He will report directly to Sebastian, with whom he worked with previously while at Google Canada from July 2011 to January 2016. The Ivey Business School at Western University grad has been at Twitter Canada since January 2016 after leaving his head of partnerships position at Google Canada. Before that, he was the lead in business development, advertising, and platforms at Microsoft Canada from November 2008 to July 2011, as well as quick stints as the director of business development at Lavalife Inc., and Torstar Digital and LiveDeal Canada – all of which he says will benefit him in his new role at Pelmorex. Pelmorex, owner of The Weather Network, has been in the process of expanding beyond weather and media into a more data-driven business, creating the Pelmorex Weather Networks Division and the Pelmorex Data Solutions Division to reflect these changes, according to a company press release from Oct. 25. As part of this evolution, Capern “will work to strengthen Pelmorex’s position as an advertising and insights leader in Canada, while ensuring consumers needs are at the forefront of their solutions,” Pelmorex said. In his exit interview with ITBusiness.ca, new CEO Sebastian emphasized much of his work will focus on improving Pelmorex’s database and introducing artificial intelligence (AI) and machine learning to improve its efficiency. “One thing Sam and the rest of the team and I have talked about is getting a firmer understanding of the AI space in Canada right now and how we can use that as an opportunity. Pelmorex has a very strong presence in TV with The Weather Channel, as well as on the web and in the app ecosystem, so I’m interested in how I can help bring this emerging technology to help the company,” he explained. Capern plans to use his experience with the Canadian tech partner ecosystem and relationships formed while at Twitter Canada at Pelmorex. “The Twitter experience was actually extraordinarily important for me moving into Pelmorex because I was able to work really deeply with the entire ecosystem in Canada, including the tech players, the strategic partners, and even the ad agencies. I was managing that entire remit for Twitter in Canada, and that experience will play really well into how Pelmorex can start to partner in similar ways,” he concluded.